Does Diabetes Affect Your Immune System?-Boost Your Immune System Right Now! The immune system is without a doubt the most important system in your body. It is the center of your system. But does diabetes affect your immune system? It most certainly does and when it is compromised then you need to learn how to boost the immune system naturally. 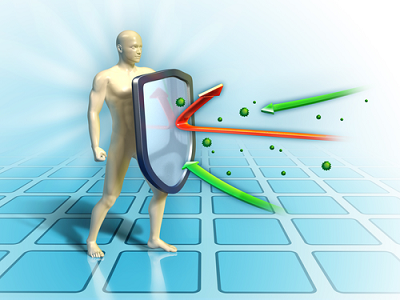 Your immune system is your defense against any invaders either from outside your body or from inside your body. Once your blood sugar is elevated, it affects your immune system. We have to get your immune system back up and working in top notch form again. If these invaders are not stopped, they can cause disease or even death. You cannot take lightly how crucial your immune system is. As far as toxins go, the less you have the better off you are and the more you have the worse it is for your health. You have to turn things around and reverse an immune system that isn’t healthy. You are what you eat. Isn’t that what was always said? It’s true. Bad eating will weaken your immune system and healthy eating will strengthen your immune system. You should know that fruits and vegetables are what you should be feeding your body. Foods with sugar are the worst for you. There are suppressors that are toxic to your body and your immune system. Examples are chemicals, metals, and even radiation that will disrupt the health of your immune system. Refined sugars in your diet can damage your immune system too because of the bacteria and fungi which are fed on from the sugars. Is it heredity? If it’s in your genes, there isn’t anything you can do about that. But some folks eat healthy and do everything right and will die early and others eat junk and don’t look after their health and live a longer life. Or maybe you’re sick a lot and have more infections and colds? Go figure? In this case you try and make do with what life and your genes have given you. So you may have a compromised immune system with some damage already to it. Well, the good news is that your body can repair itself with your help. Whatever your the condition that your system is currently in can be practically guaranteed that with changes in your diet and nutrition and decreasing the amount of toxins in your body, will produce improvements in your immune system. Now you should understand that noticing an improvement of symptoms may take some time or you may not notice symptoms but your body will still be getting the benefits. Another way to look at it is that if your symptoms are stopping, reversing, or slowing down, then you’re coming out on top and making progress. So you have the ability to turn things around. Do it. Take action now! Is it possible for your own immune system to turn on you? Well unfortunately, yes it can. Your immune system can work in two different ways. If your system is highly aggressive or isn’t successful in determining the good cells and the bad cells, then your own systems and tissues will be attacked. The symptoms are dependent on which system is attacked. 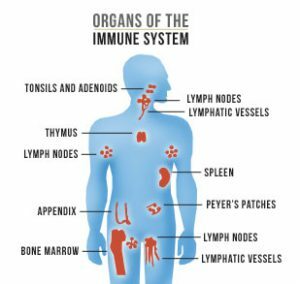 Your immune system is designed to build up and produce antibodies against a vast array of organisms carrying disease and viruses, bacteria, and other microorganisms that can cause disease. The cells in your body carry molecules and your immune system is programmed to not react and attack them. So the bottom line is that our systems are perfected to protect you against all the bad things. It is your army against the enemy. An autoimmune disease can be as if it is something that has gone psycho and begins attacking itself instead of the enemies it is designed to protect against. This just doesn’t happen from out of the blue. There’s always a reason behind it. Almost everything relating to good health is about exercising and eating healthy, don’t ya think? Your immune system is no different. Regular exercise is definitely a significant factor in immune health. History shows time and time again that anyone living a lifestyle that has little or no exercise leads to more disease, colds, flu, etc. Listen, it doesn’t take much to even walk twenty to thirty minutes a day. Get a pedometer and aim for 10,000 steps a day. I ride my bike. It’s better than no exercise at all. This is big on my list. 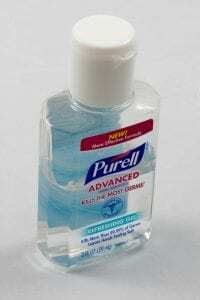 I hate germs and I use hand sanitizer maybe a lot more than I should because it can dry your hands out too. But washing your hands consistently can really help with avoiding to pick up germs and getting sick and compromising your immune system. The sanitizer comes in small bottles and isn’t expensive at all. You need vitamin D and one reason is because it’s favorable to your cells. You can get vitamin D in many foods or take a supplement (2,000 IU daily), but the best source is sunlight. If you are deficient in vitamin D, you are more prone to autoimmune disease and an much more of a chance of developing infections. Get out and grab some rays especially during the flu and cold season. Sunshine raises your happiness mood too! How important is sleep? Well, you sleep approximately one third of your life so there must be something to it, right? There is a definite connection between not getting enough sleep and getting sick. If you’re working a zillion hours a week and not getting ample sleep, then you are at a much higher risk for developing either an infectious disease or relapsing on a previous one. You could reactivate something in your system that could return and be even worse than the first go-around. Having more intimacy and sexual relationships can help boost your immune system. I’m sure you’re smiling about this one right now. 🙂 A study way back in 2004 showed that you can reduce your risks of getting colds by intimacy and the closeness and experiencing having close contact with your partner during those intimate moments. To me, this is just common sense and something you shouldn’t even have to think about. Getting vaccinations that are routine have an enormous on decreasing many infectious diseases. In some cases, stopping them altogether. Most of your immunizations happen during your childhood. But adults should be getting their yearly flu shot and tetanus booster. In addition folks over the age of 60 should definitely get their shingles vaccine and over 65 the vaccine for pneumococcus. I made sure I got my shingles vaccine as soon as I turned 60. Do this. Don’t wait. 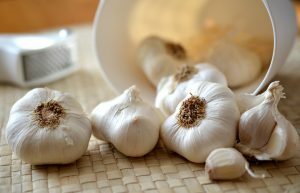 Garlic is very healthy for you and especially beneficial for boosting your immune system. It aids in protecting your body because it is antiviral, antibiotic, an anti-fungal agent, and antibacterial. If you have garlic on a regular basis, it can help to control rheumatoid arthritis, inflammation, and multiple sclerosis. This powerhouse also reduces the risk of certain cancers, controls cholesterol levels, and helps lowering blood pressure. You can even pick up your own blood pressure monitor and do it at home whenever you want to. Turmeric is another super food that can do wonders for your body. But if you want to keep your immune system running in tip top shape, you’ll need vitamin B6 and minerals such as: maganese, iron, and potassium which turmeric contains. Another ingredient curcumin is an antioxidant that also aids in helping your immune system. Probiotics are always good for your stomach. The active and live cultures can protect you against inflammatory conditions. Have probiotics daily such as yogurt because it will help the bacteria in your stomach to fight off infections. This is at the top of the list when it comes to affecting your immune system. You need less stress in your life because stress in the long term will compromise your immune system. If you’re suffering through psychological stress, you’re increasing your risk for viruses and the common cold. I’m sure that you’ve heard about getting plenty of vitamin C when you have a cold. It’s true that vitamin C fights off the common cold and also the flu. It’s extremely important for boosting your immunity. Try and include vitamin C (1,500 mg daily) in your diet by consuming broccoli (my favorite), parsley, cabbage, kiwi, strawberries, oranges, and other citrus fruits. This just happens to be another mineral needed to boost your immune system and fight off the bad guys. You can either take a supplement (15 to 30 mg ) or get it from foods such as: dairy products, legumes, chicken, red meat (not too much), sunflower seeds, and fish. Being that honey is an antibacterial, antimicrobial agent, and natural oxidant, it is a great asset for your immune system. It has other health benefits such as: controlling your blood sugar, treating a cold and cough, helping to treat acid reflux which aids in your digestion, and soothing your sore throat. 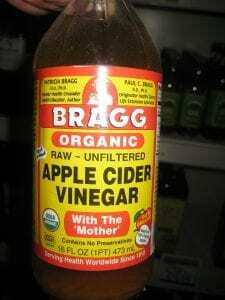 Apple cider vinegar contains malic acid which is very potent and beneficial for your immune system. One reason many folks drink apple cider vinegar is because they experience less colds and flu symptoms and they credit this to their immune system becoming stronger because of having it. Your stomach needs good bacteria and that’s what apple cider vinegar promotes which can improve the health of your immune system. Green tea is my favorite drink and it has great health benefits. It is a rich source of antioxidants that not only boost your immune system but helps to prevent strokes, cardiovascular diseases, and cancer. Add green tea to your diet everyday because your body will thank you for it. This is another powerhouse food that helps to balance your hormones because of its’ healthy fats, amino acids, and and antioxidants. In addition, your heart can be kept healthy too because of avocado oil and antibacterial properties. The most important thing that your body requires for survival is water. I think we all know that. But water is essential in the balancing of your fluids and also helping to improve the function of your bowels, and providing energy to your muscles. The rule is: EIGHT glasses of water everyday. Get rid of the alcohol and sodas! I’ll just get right to the point and say it. Your immune system becomes weaker when your blood sugar levels are elevated. One of the reasons for this is that germs feed on glucose and the more glucose in your system, the weaker your immune system is and the result is sickness and disease. I’m sure that you’ve heard of salmonella? Well it can get into your body by eating chicken and eggs more than anything else. Now normally, your body with a good immune system can fight off salmonella much easier than if you had a weak immune system caused by diabetes. So your chances of getting salmonella are three times higher because you have diabetes. Not good. Since your weakened immune system doesn’t have the advantages that a normal system in someone without diabetes, you need to take extra steps to hopefully avoid any serious disease or infections. I mentioned before that getting a tetanus shot and flu shot is required. So make sure that you don’t ignore getting them. It is also extremely important to keep your blood sugar under control. I would suggest picking up a blood glucose monitoring kit and take your sugar levels regularly. The last thing I’d like to say is to get enough sleep, control your stress levels, wash your hands a LOT, use hand sanitizer, exercise everyday, and eat healthy. I know I mentioned these previously, but it’s crucial especially when you’re a diabetic. One other thing? Grocery shopping carts have THE most germs on them. Carry sanitizer or disinfectant wipes with you. You want to try and avoid any germs and sicknesses you can especially if your immune system isn’t strong. So, does diabetes affect your immune system? You know the answer. Your immune system keeps you alive and protects you. Why don’t you do the best you can to boost it and make it as strong as possible? It’s common sense. If you’d like to check out a product that works for your blood sugar, try this! If you have any questions or would like to leave a comment, please do so below. It would be appreciated. Thank you. Here’s to your health! Why Take Garcinia Cambogia for Diabetes?- Lose the Weight Permanently Too! If your immune system is weakened, it could be from diabetes. So by controlling or reversing diabetes, you can help boost your immune system. Preventing diabetes is mostly diet and exercise. But you can check out many articles on my website for more information about how to lower your blood sugar naturally. Thank you for your comments! Very informative post. I really like all the suggestions you provided on the page to boost your immune system and keep it up and going. I especially like the section talking about hand washing and vaccinations. I feel as these are important as well as the other stuff but more or so during flu season especially for the immune compromised individuals. I probably wash my hands more than most folks and I certainly go through a lot of hand sanitizer. But I feel it helps me from getting sick and helping my immune system. And getting a flu shot is really important. In fact I’m on my way now to get one coincidentally. Stay healthy! Thank you! Hello. I must say I like this page. It has a very explicit information, and it’s clear about the explanation of the process of inmune system. And most of all, it offers natural options to increase inmune system. I would add something about the water: people should drink 8 glasses of water AT LEAST. This means that you can drink even more water, and the more water you drink, the better, specially for diabetics. Anyway, congratulations for your page. Hey Jaime, thanks. Our immune system is what keeps us alive and hopefully free of disease. The natural ways are always the best ways to treat anything. I almost always recommend eight glasses of water a day in my articles. I believe that people should know this because it is that important especially for our immune systems. I think your site has a lot of great information and I like the graphics you use on each page as well. Your site looks like it engages people to learn more about their health and their immune system as well as keeping the diabetes under control. Site looks great keep up the great work! It’s important to keep our immune systems healthy because that’s what keeps us protected and alive. Our health is also important and lowering blood sugar can help keep it that way. The immune system is crucial in staying healthy to help with diabetes. It must be kept under control. Thank you for your comments!